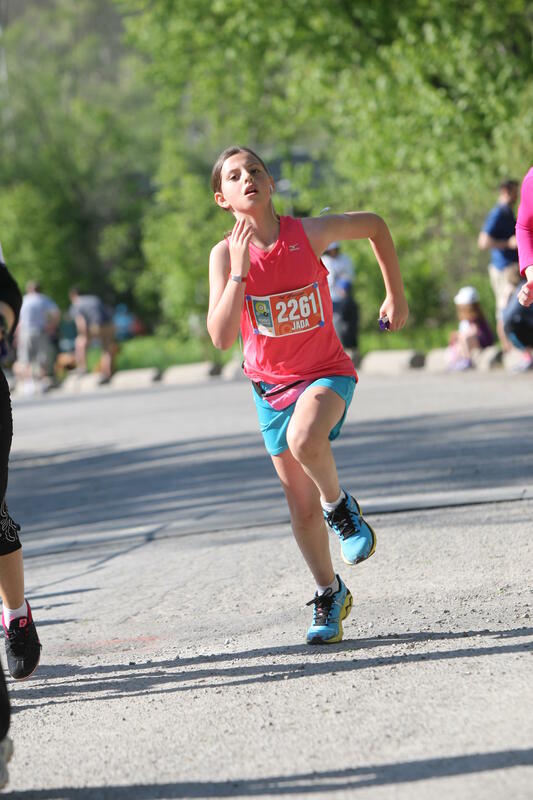 First off here’s the good news and recap of the Toronto Women’s 5km and Half Marathon that my good friend Cory Freedman has put on for the last 6 yrs .It is a seamless event. Every detail to perfection . And to top it off this year the weather was fabulous!!! 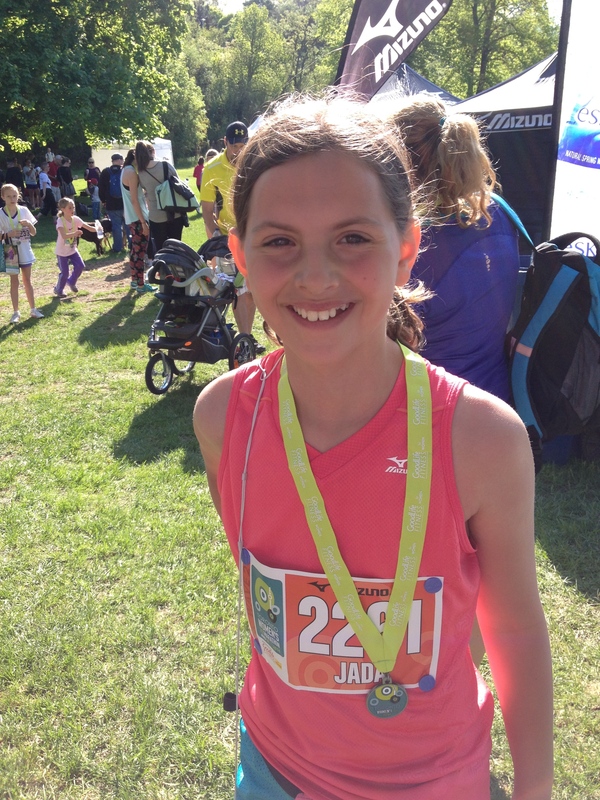 My daughter ran her first 5km solo. Her first words to me were …. ” Mom I ran the whole thing. I did not even stop for water as I did not know how to drink without spilling:)”. Pushing for the finish line! Check out those Mizuno Wave Inspires! I was so proud of her too. We started out the morning by volunteering at kit pick up. Apparently she has a new job. She got promoted from kit passing, to bib handing out. She impressed the heck out of our team leader:). It was also a fun morning hanging out with Barb Mitchell (aka the Mizuno fairy) and some of the other girls who are brand ambassadors and bloggers. Mizuno ran a great campaign there for #IfEverybodyRan. They had people fill out cards about what they thought the world would be like if everybody ran and gave out some great swag and posted them all on Facebook. 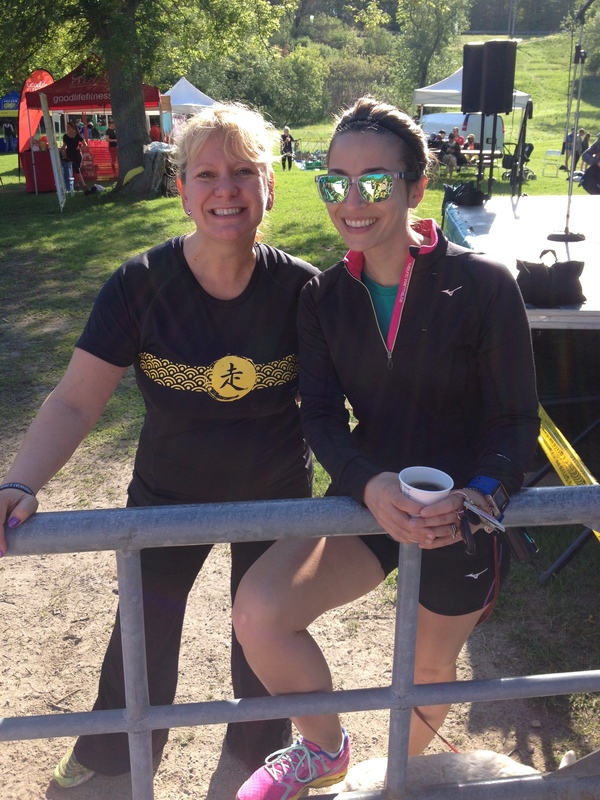 As much as I was so looking forwards to running this event and seeing my daughter on the out and back, it was a fun morning cheering on the other runners, volunteering and hanging in the sun. Now onto the progress report. Expect the unexpected. I had an MRI last Saturday and was thinking it was just going to confirm what we already knew. Pubic ramus stress fracture. Well it confirmed that and more. I have not one but two stress fractures in my hip/pelvis. The second one is on the acetabulum which is part of the hip socket. It’s not ideal at either location. It is going to heal though. I have been reading Jesse Thomas’s blog quite a bit of late. He had a fracture in his foot last year and needed surgery. He is a pro triathlete with a great personality. He had some tough times and got back to winning one of the biggest races this past May a year after his original injury. As much as I am not near a professional athlete status I always like to get inspired and learn from their struggles with big injuries. I won’t lie and say I did not have more than a few tears in the last two days. I have been scared that this just came on out of the blue. It has derailed my summer plans. It makes me feel vulnerable. Tomorrow I am turning over my new leaf. I know it is going to be likely 12 weeks before I am running again. It may be 6-8 before I am cycling. I am allowed to get into the pool and will try and see if either pulling or kicking work. Pulling first. Not an hour workout I will start with 15 mins. I will also start some more consistent upper body work too. I will focus on what I can do and not on what I can’t. I promise myself, I promise my family, I promise. Positive thoughts from here on in. This too will heal. I may not get to be as active as I would like to this summer, but it’s one summer out of my life. I hope soon to be off my crutches and take short walks , but for now I will sit in my backyard in my new found free time, catch up on books, watch my daughter on her trampoline, or shooting hoops and watch my husband garden (I hate gardening so I won’t be jealous of that!) I know it is all about the attitude and going forwards I will have a more positive one. Tomorrow is a new day and a new start to positive healing.